A fun design, ideal for the music lover. 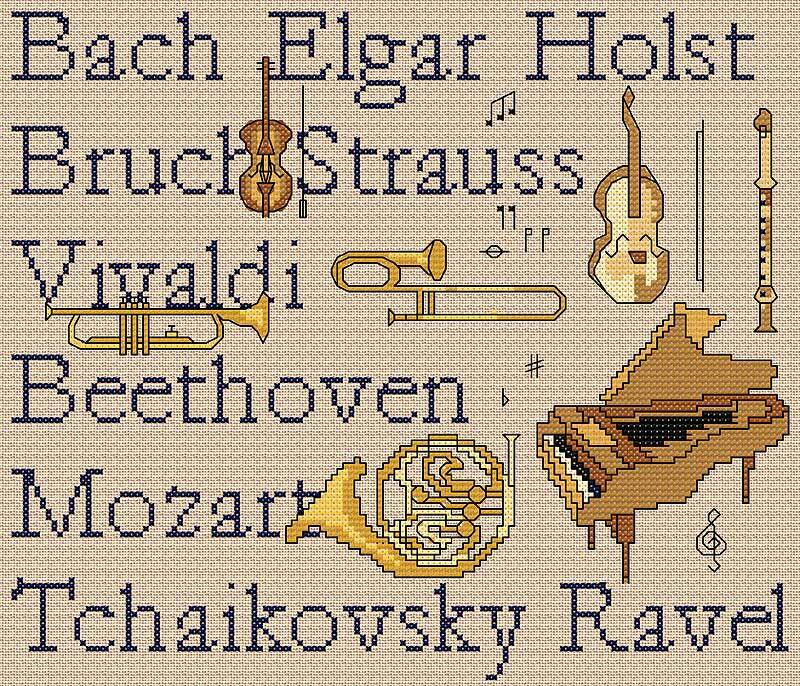 The design is worked in cross stitch and backstitch and does include a few fractional stitches. You may find it easier to work this design on linen than on Aida.